Today was the first day of the Marianas Resource Conservation & Development Council's Tree Care Workshop. The brainchild of Captain Carl Brachear, the tree care workshop's goal is to train government workers to care for trees on CNMI public land. Beautify CNMI has been trying to come up with a plan to solve the dead dog and stray dog problem on Saipan since our inception. This turned out to be a larger task than we expected, so we decided that it would be in our best interests to create a committee dedicated to this issue. It is our hope that after solving the dead dog and stray dog issue that this committee will turn its attention to invasive species, biodiversity, and other issues related to animals. Beautify CNMI! is adding a new facet to its environmental advocacy, this time by championing the responsible ownership of pets. Rep. Cinta Kaipat, who is an officer of the group, told Saipan Tribune yesterday that they have created a new committee that would focus solely on animal welfare, with the tentative name of Animal Welfare Committee. Despite disagreements among some members over the concept of incorporating animal welfare within the group, Kaipat said the majority accepted the idea of adding the committee. The new panel joins the Restoration Committee, Recycling Committee, Public Information Committee, and Junk Cars Committee, among many others. Kaipat said she is glad to have the expertise and voluntarism of PAWS officer Katie Busenkell to lead the newly formed committee. Under Busenkell's leadership, the committee will meet to outline its direction within the Beautify CNMI! concept. “What I'd like to see is that the committee would work on responsible pet ownership and encourage the community to deal with animals more responsibly,” she said, expressing hope that roadkill on the islands' streets would be minimized. Kaipat said the campaign group would be working closely with the Saipan Mayor's Office on this matter. She said she has also spoken with the Tinian Mayor's Office, which already implemented its stray dog policies in November 2006. She discussed with Dr. Thomas Arkle Jr. a possible collaboration with the group due to the successful implementation of the program on Tinian. 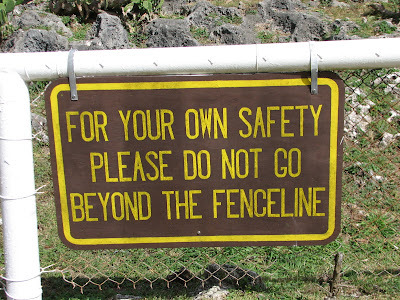 Tinian's dog control regulations took effect after being published in the Commonwealth register in October 2006 and posting of the required public notices. A colorful tri-fold brochure is available at many island locations describing the basic features of the program. The program is now being implemented in stages, according to the Tinian Mayor’s Office, with the first stage involving the licensing of privately owned dogs. All residents were required to register their dogs and purchase the required license tags at the Tinian Mayor’s Office. The Kagman Education Island Wetland learning center is now officially open to the public for education tours. The federally funded learning center held its ribbon cutting ceremony at the site in Chacha Road, Kagman yesterday morning. Marianas Resource Conservation and Development Council vice-president Ike Cabrera, who presided over the ceremony, said the center was built to help schoolchildren with their research on wetlands. Agriculture Division staff member Ben S. Borja said the learning center would be locked up for security reasons and would be opened only upon request. He said the site is also a sanctuary for migratory birds that seasonally fly from neighboring countries such as Taiwan. USDA RCD coordinator Ken Kramer said the project was in collaboration with the Coastal Resources Management Office and the Department of Lands and Natural Resources. It was funded through the Office of Ocean and Coastal Resource Management, National Oceanic and Atmospheric Administration. Signs have been put up around the site that answer several questions such as: What is a Wetland?, What is a Wetland’s Function?, Endangered Species and Wetlands and Wetlands in the Landscape. Kramer said the signs would help inform students and the public about the role that wetlands play in the environment. “Wetlands are important for many reasons. They provide flood protection by slowing and holding stormwater runoff, allowing the water to slowly infiltrate into the ground, where it is naturally filtered by the silt and sand. This process cleanses the water and replenishes the aquifers from which many of us get our water,” Kramer said. 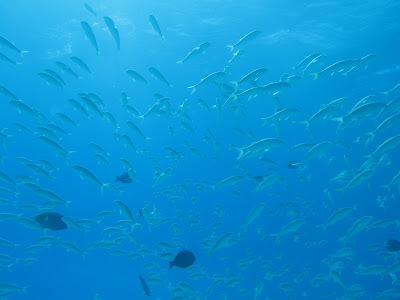 Sediment-laden runoff destroys marine habitat by smothering the corals, which deprives them of oxygen and sunlight. Wetlands trap sediment and other pollutants that would otherwise flow to the ocean, home of the green sea turtle and other marine life. 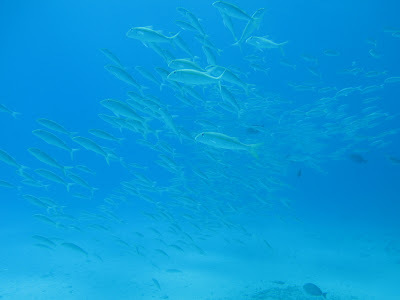 Fish depend upon corals for food and shelter. Wetlands also provide wildlife habitat for many types of animals that include insects, birds, reptiles, and fish. “Come observe the wildlife at the Kagman Education Island wetland and see for yourself what the wetland signs have to say. 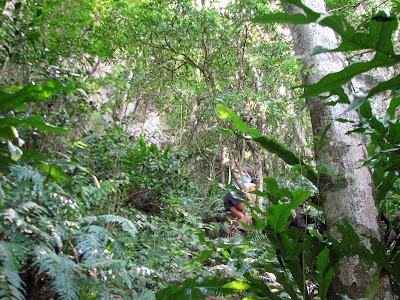 Schedule your visit with DLNR by calling 256-7923,” Kramer said. Saipan and Northern Islands Soil and Water Conservation District chair Isidoro T. Cabrera commended the realization of the learning center. “The Kagman Education Island serves as a reminder to all of us that effective resource conservation, is based on a strong combination of knowledge and cooperation,” he said. Rep. Cinta Kaipat said she was “pleasantly surprised” to learn that the center was beautiful and would truly be useful for CNMI students. At least 30 Kagman High School students participated in the event led by KHS student Chelsea Ruluked and faculty Allan Davis. The students unveiled the signs installed within the wetland center. For more information on the Kagman Education Island Wetland contact, Ignacio V. Cabrera, vice president, MRC&amp;DC at (670) 236-0894, Fax: (670) 236-0895; web sites: www.hafa-adai.org or www.hafa-adai.blogspot.com or e-mail Kramer at ken.kramer@pb.usda.gov. Interested schools and organizations can also contact Diane Gabaldon of the S&NISWCD 256-7923. THE Marianas Resource Conservation and Development Council is looking for more wetlands that can be converted into “education islands,” says its vice president, Ike Cabrera, during the inauguration of the Kagman wetland project yesterday. Students from Kagman High School were the first ones to learn more about wetlands at the Kagman Education Island on Chacha Road. 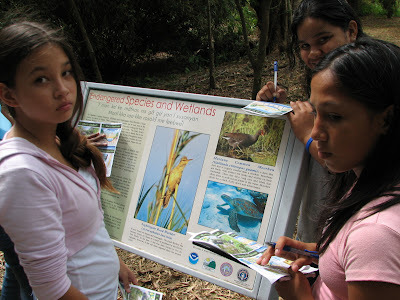 “We want kids to do more studies about wetlands,” Cabrera said. Council president Roland Quitugua said turning wetlands into educational venues helps spread awareness of the need to protect the environment. The seven acre Kagman Education Island is the latest component added to the wetland which also provides flood control and irrigation to the surrounding farmlands. Four educational signs have been installed in the area. Coastal Resources Management Office’s Tim Lang said the signs are federally funded and cost $7,000. The signs provide information about wetlands, how they works, their locations, and the endangered species that can be found in these areas. 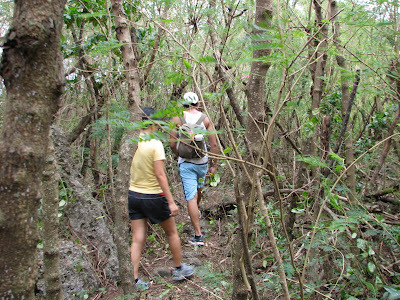 Kagman is a farming area for Saipan, according to Scott Crocket, a district conservationist of the U.S. Department of Agriculture’s Natural Resources Conservation Services. “So the wetland also plays an important role in irrigation,” he added. Quitugua said the purpose of the education island project is to mitigate some environmental impacts. “This is a living laboratory not only for the students but for the community as well,” he added. He said wetlands filter water that runs to the beach and the ocean. 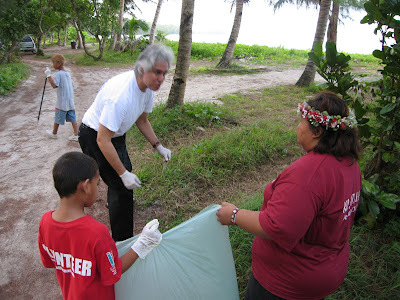 On Saturday morning we had two cleanups; Pala Potu, MOVER, Rep. Kaipat's office and family, MINA, and RC&D beautified Tun Kioshi Rd while MVA and Red Cross beautified South Lau Lau Beach. 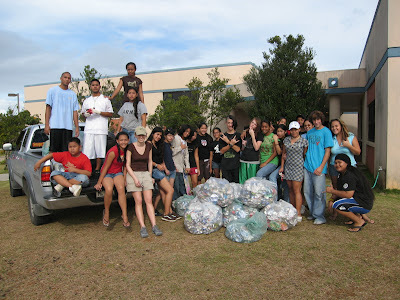 Later that day, while RC&D's Ken Kramer and Angelo Villagomez led a group of NMC college students on a field trip to the Laulau Revegetation Project Site, community volunteers Nina Rivera and Barrett Ristroph led the Kagman High School National Honor Society and other students in a village Trick or Trash Recycling event. The students roamed the streets of Kagman, knocking on doors in search of cans, bottles, glass, newspaper, and cardboard. The 58 students collected a total of 330 lbs of recyclable material and sold the aluminum cans for $28. They will use the $28 to pay for drinks and maybe food for their next event. Also on Saturday, Mariana Islands Nature Alliance had a retreat for their board members at Aqua Resort facilitated by The Nature Conservancy. Thank you Aqua Resort for the meeting space! 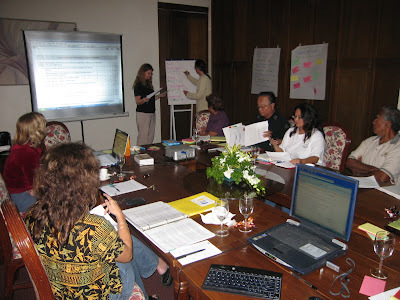 The retreat helped the participants become better board members. 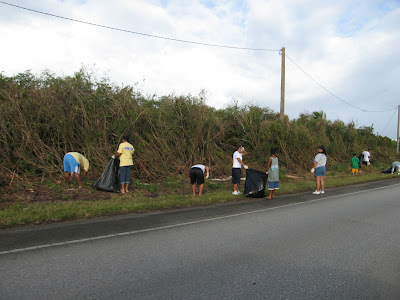 On Sunday, the Pala Potu group continued their beautification of Tun Kioshi Road while MOVER, Rep. Kaipat, ISA CNMI, and others beautified the road connecting the Francisco C. Ada Airport to Coral Ocean Point. They removed 920 lbs of illegally dumped trash. We continue to draw in new partners. 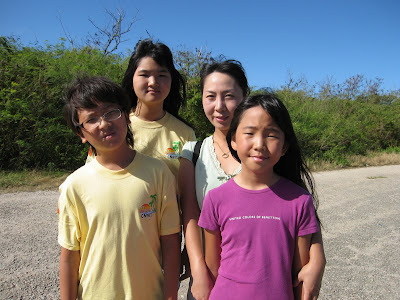 One of the teachers at Saipan International School is encouraging her students to go out and volunteer with us. She helped us recruit our newest volunteers, pictured above. This was their 3rd volunteer event in 8 days with Beautify CNMI! ...and let's not forget Gus Kaipat, our fearless photographer. Gus takes just about every group picture, so he's never in any blog posts. Today Gus gets his own picture. Our schedule of volunteer events is always available online. Click HERE to view it. If you would like to add your event, please email or call Angelo Villagomez. This coming Saturday we will be beautifying Mt. Tapachou Road and on Sunday we will be back in the Garapan Tourist District. CNMI POWER will be participating in their first cleanup of the area; they have adopted the area on the other side of Beach Road. Visit our calendar of events for details and contact info. Nearly two dozen assorted cardinal honeyeaters, golden white-eyes, Micronesian starlings, kingfishers, rufous fantails, and sparrows lost a feeding ground, resting place, meeting site, one day this past weekend when, while I was out, an overzealous tree-trimmer cut off almost half of the branches on a flame tree growing in my yard. Admittedly, the branches that were cut stretched out over the neighbor’s empty lot, and it’s my understanding that it’s OK to cut branches leaning into your yard, even if the tree is not yours. But most of the branches were way up high-higher, even, than my two-story house from which I took immense pleasure-up on the second floor-in watching the bright red cardinal honeyeaters come and eat, the golden white-eyes flit through the branches, a group of starlings hop about chirruping to each, an occasional kingfisher sitting haughtily on one of the branches, more rarely even the pretty little rufuous fan-tails coming by, and the ever-present sparrows. Some of them came every day, and I always stopped to admire them-the bright colors of the cardinal honeyeaters, the blue of the kingfisher, the spread of the rufous fantails peacock-like tails, the song of the larger starlings-I even learned to distinguish all their songs. I know I can’t sue my neighbor for destroying habitat-after all, it was on his land, and I don’t think the birds are among the endangered species or for cutting branches off my tree-since they reached out over his land too. But I wish he’d been less zealous and that those tree-timming classes were more widely available. The Marianas Resource Conservation & Development Council will host a tree trimmer training this Wednesday and Thursday in Garapan. Please contact Ken Kramer, RC&D Coordinator, at 236-0893 for more information. If you don't know what a blog is, let me help: You are reading one right now. The We Love Saipan Network, along with the Saipan Blogger and the Passion Profit, are hosting the CNMI's first Blogger Meetup this Wednesday night at 7 PM at Java Joe's. The meeting will be an informal meeting for anyone with a blog or the desire or interest to start a blog. Some of us have been blogging for a few years, some for only a few days. All are welcome! We'll share tips, ideas, links, and expertise. Hope to see you there! Our stable of bloggers is growing! Keep a look out for posts from the Passion Profit, Walt Goodridge, and the newly elected Beautify CNMI Animal Welfare Committee Chair, Katie Busenkell. I am so getting there! I added more partners to the right hand column. I haven't left any group off on purpose. If you need to be added, please send me an email and I will add you right away. The only qualifier I have for linking to your business, organization, or government agency is that you actually have a website. The right hand column is a list of links; if you don't have a website, I can't link to you. I know that this leaves out a lot of our partners, such as MOVER, who have donated many hours of volunteer time. My suggestion is to go to www.blogger.com and to start a blog. You can start one in three easy steps. Then join the We Love Saipan Network. That only takes two steps. Then send me an email letting me know you have a website. Six easy steps. You can do it! ONE of the biggest families in the CNMI will launch a regular cleanup drive this coming Saturday. The Pala Potu Group of the Cabreras has hundreds of members all over the CNMI, according to their coordinator, Bernard A. Cabrera. “Pala” means, a kitchen adjacent to a house, while “Potu” is the original family name of the Cabreras. The Cabreras earlier informed Rep. Cinta M. Kaipat, Covenant-Saipan, that they will be conducting monthly volunteer work. Bernard A. Cabrera said they plan to have a cleanup drive the last Saturday of every month. He said at least 25 members of the clan, including himself, are to show up at around 8 a.m. to clean up the stretch of Tun Kioshi Road from the vicinity of the airport all the way to the intersection of As Perdido and Msgr. Martinez Roads in As Lito. Cabrera, who works for Sen. Maria T. Pangelinan D-Saipan, said they will also paint the concrete drainage walls along the road, and have already asked the Department of Public Works to mow the grass in the area. He said Saturday’s launching of the cleanup drive will also commemorate Tun Kioshu, a traditional healer who used to look after ailing members of their clan. Every local who enjoys the three buffets pictured above at Aqua Resort Club between now and April 1 will receive a 10% discount. For every local diner, Aqua Resort Club will donate an additional 10% of the meal to the Mariana Island Nature Alliance to support Beautify CNMI! projects. As if enjoying great food while you donate to protect the environment wasn't enough, each of the buffets features bottomless draft beer. The discount applies Wednesdays and Fridays from 6:30 - 9:00 and Sundays from 11:00 AM - 2:00 PM. Is it really Friday night? What happened to the week? The Saipan Tribune is reporting that EPA Environmental Award Nominations are now open. You can visit the Tribune article or the EPA website for more information. Cinta Kaipat: For creating the vision for Beautify CNMI! Literally thousands of people have been involved in our success, but she started it with an idea. MOVER: For volunteering at least once per weekend every weekend since June. Marianas RC&D: For coordinating 1020 on 10/20, the CNMI's largest ever island wide cleanup which attracted at least 3,380 volunteers on a single day. 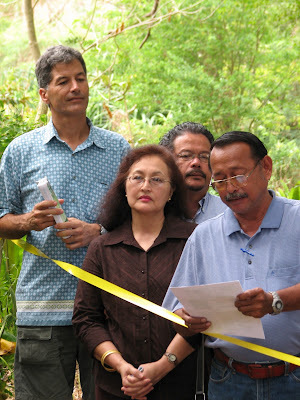 CNMI Watershed Group: For coordinating the Laulau Bay Revegetation Project. Adam Sablan & Family: see MOVER, same reason. The Chairs: For leading Beautify CNMI! Even though the chairs work for different sectors of our society (i.e. 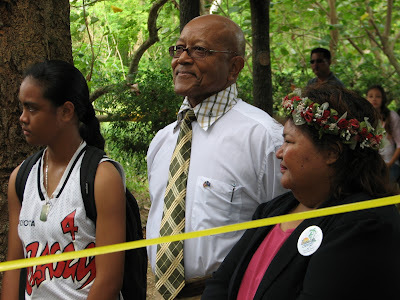 government, business, and non-profits) they have come together to promote an environmental ethic in our islands. CNMI Media: Bringing our message to the people. The media isn't just doing their jobs when they report on us. They choose to report on us and, more importantly, do so in a positive light. They have been our greastest recruitmers of other Beautifiers and they don't even know it. I think that Beautify CNMI! itself (as in the coaltion) is eligible for this award, but I ask that anybody making nominations nominate people. Beautify CNMI! is a coalition and a campaign, please try to put a human face on the great work we have ALL been doing. I love the way the Beautify CNMI! approached the problem of robberies in Marpi. 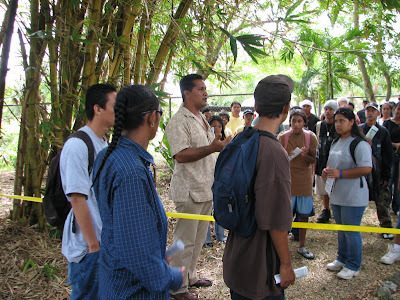 Knowing that the criminals' modus operandi involved hiding within the surrounding shrubberies and trees, Beautify CNMI!, together with other government agencies, cleared the jungle of undergrowth, cut off the lower branches of trees, and pushed back the edge of the forest from the parking lots, putting a bigger space between the criminals and their potential victims. The criminals now have fewer places to hide and have a longer distance to run for cover. Simple yet effective. Since that time, there have been no reports of further robberies in the area. 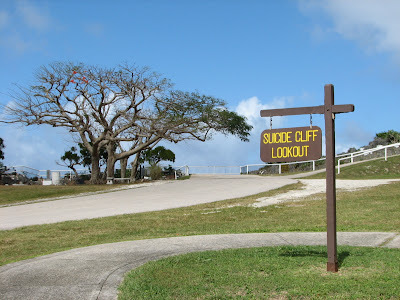 Just to clarify, the thinning of the trees up at Suicide Cliff was coordinated by Beautify CNMI! partners Marianas Visitors Authority, Department of Natural Lands & Resources, and Department of Public Safety. The Saipan Grand Hotel will be hosting an Environmental Cheering and Dance Showdown that will highlight not just the talent of contestants but will also promote environmental awareness and beautification projects in the CNMI. 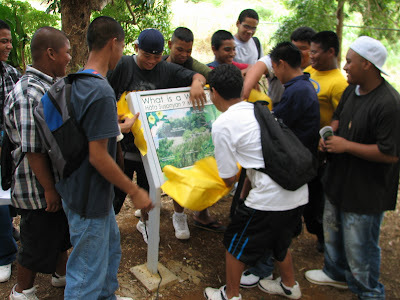 Events manager and “eventologist” Oscar Yema presented his newest undertaking to Beautify CNMI! during the group's general meeting last Thursday at the Division of Environmental Quality Conference Room. Yema told the Beautify CNMI! members and officers that the contest is open to all primary and secondary schools in the CNMI, as well as to tertiary, non-government organizations, private schools, and out of school youth in the Commonwealth. The competition also hopes to make the participants learn to appreciate and care for the environment through fun and creative activities, he added. It will also promote Beautify CNMI! and the Micronesian Challenge, which seeks to conserve 30 percent of near shore resources and 20 percent of forest resources among Pacific Islands. Since the competition will also involve community members voting for their favorite contestants through texting, co-sponsor Pacific Telecom Inc. has promised to donate 1 cent of every text vote that the contestants will receive. This comes in the wake of the recent success of the text voting during the Saipan Singing Superstar competition that garnered over 3 million text votes. Schools and other organizations have already been invited, said Yema. The registration for the contest was opened last Saturday. Elimination rounds will be held this coming Saturday while the grand finals will be on Feb. 3. Beautify CNMI! gave Yema the nod to proceed with his planned activities and thanked the hotel for making the group its beneficiary. Entry forms can be downloaded online through web address: www.saipan-grandhotel.com or at the Saipan Grand Hotel front desk. For further information, contact Yema at 234-6601 local 651 or through mobile phone at 483-6489. 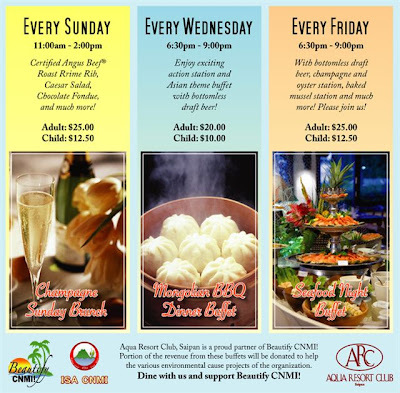 ARC donates 10% of food sales to Beautify CNMI! 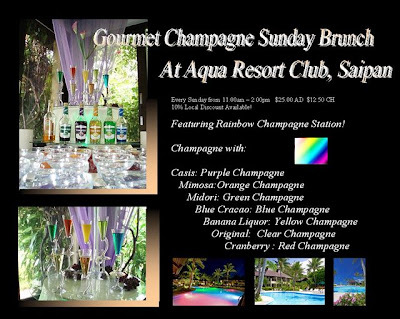 The Aqua Resort Club is donating 10 percent of its dine-in sales to the environmental campaign group, Beautify CNMI! ARC sales manager Yoshimi Kodama spoke in front of the members of Beautify CNMI! during its monthly general meeting last Thursday. Kodama said the premier hotel in the Achugao area is aiming help and assist the group through this promo. Kodama said local residents that would be dining inside the hotel's Costa Terrace Restaurant would be able to indirectly donate to the cause of the environmental group. She said that each dining person from the CNMI for the hotel's buffet would provide 10 percent of the revenue for the group. She said the promo is good for buffets on Wednesdays with the hotel's Mongolian BBQ from 6:30pm to 9:30pm. Also on Fridays with their Seafood Night Buffet from 6:30pm to 9:30pm and Sundays with their Champagne Sunday Brunch from 11am to 2pm. The promo ends in April. Local discounts apply to the local dine-in guests, she added. Kodama added that the hotel would be turning the donations over in April. She said the donations would be given to Beautify CNMI! 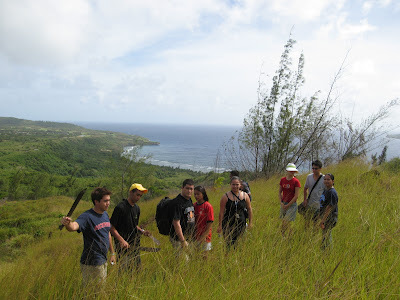 through the Mariana Islands Nature Alliance group, also a partner of the Beautify CNMI! The Beautify CNMI! group acknowledged the plans of the hotel during its general meeting last week. The members commended Kodama and the hotel in its pursuit of providing more environmental awareness in the CNMI, also for promoting the group. “We at Aqua Resort Club, Saipan, are committed and will establish our status as one of the official sponsors of Beautify CNMI!,” said Kodama. 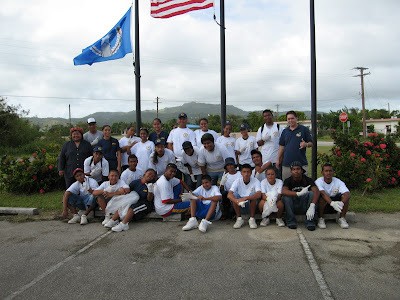 In October 2006, the hotel donated $200 to MINA, a partner of Beautify CNMI! that was one of the beneficiaries of the Ari Onishi Green Concert Dinner Show, also held in October. Kodama earlier said that the Ari Onishi/Green Concert Dinner Show was an evening of enchanting piano music and a full course gourmet dinner that aimed at raising funds for environmental organizations and activities, including Beautify CNMI! Ari Onishi is a singer/songwriter from Japan and has performed with many celebrities in the past. BEAUTIFY CNMI! is planning more activities this year. During a meeting at the Division of Environmental Quality, the coalition’s committee chairpersons gave updates on ongoing projects and activities, and revisited their original mission and goals. Recycling committee chairwoman Tina Sablan said Tasi Tours will sponsor a Managaha recycling contest. She also announced a plan for the most beautiful village contest, the details of which will be discussed in the next meeting on Jan. 22. The restoration committee’s Angelo Villagomez discussed the government’s plan for events involving the Micronesian Challenge which aims to conserve 30 percent of the region’s nearshore resources and 20 percent of its forest resources by 2020. There will be more cleanup drives and tree plantings this year. 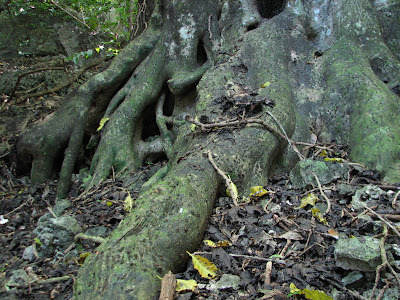 Villagomez also announced tree-trimming training for 12 personnel from the Commonwealth Utilities Corp., the Division of Parks and Recreation Division and the Saipan Mayor’s Office on Jan. 30. The litter and junk committee gave an update on the junk car removal project and identified the old Hawaiian Rock Quarry as a possible site for scrap processing. The meeting also discussed the Pet Assistance and Welfare Services’ plan to promote responsible pet ownership in light of the island’s stray dog and road kill problems. 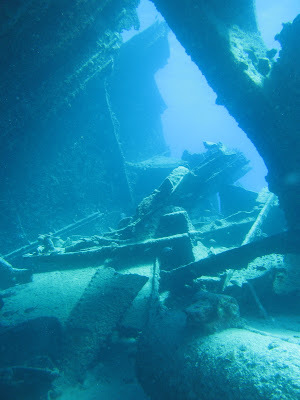 "The Chinsen is a large Japanese freighter that sits at a shallow depth in the lagoon. 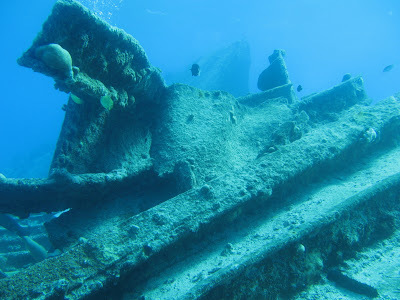 The ship has been in the water for over 50 years, allowing for some significant coral growth as well as becoming a home to thousands of fish. There are monstrous Red Snappers as well as Big Eye Emperors patrolling the wreck while huge schools of Goat Fish sit on top." 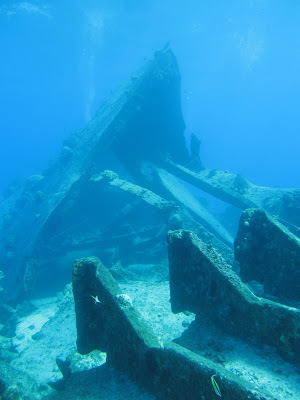 Half way through my dive at Dimple this morning, I was surprised to see an anchor connected to a boat on the surface. 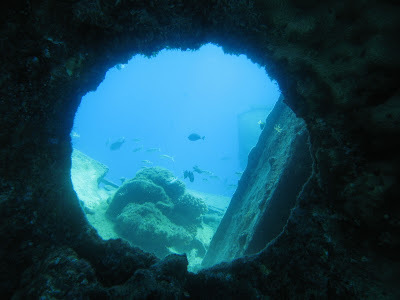 I was even more surprised to see what the anchor was doing to the coral reefs. 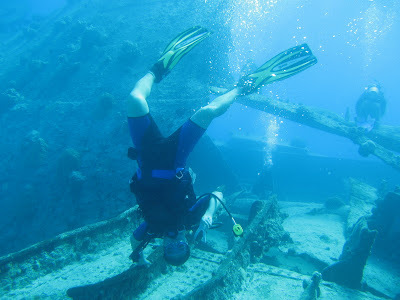 I think that part of Effective Conservation is going to have to include banning anchors in the CNMI's most popular dive sites. 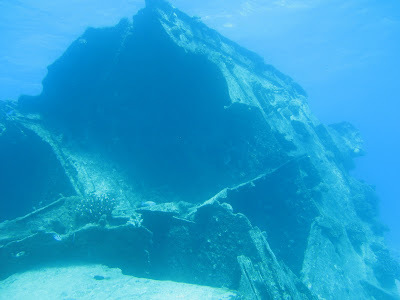 "BeautifyCNMI's blog at www.beautifycnmi.blogspot.com (also www.beautifycnmi.com) chronicles the vision, efforts and successes of this unique coalition to make Saipan a pleasing place to live and visit-all documented for the world to see." I may be wrong, but I believe that Beautify CNMI! is the second communitiy organization in the CNMI to have a blog....Marianas Resource Conservation & Development was the first. Beverly Cabanatan is this week's Volunteer of the Week. This past Sunday's cleanup of the Navy Hill Lighthouse was her first volunteer event, but she helped us immensely by getting Saipan SDA Dental Clinic to donate dust masks and by recruiting two friends, Grant and Missy, to join us for the cleanup. She exemplified the Beautify CNMI! spirit this week in donating what she could (her time and some supplies from her work) and by bringing two friends with her. She even took it to the next level by writing about her experience on her personal blog. Thank you, Bev! Keep up the good work! One of the Flame Trees on top of Suicide Cliff is already putting out flame red blossoms. Doesn't the tree know that it is several months too early? 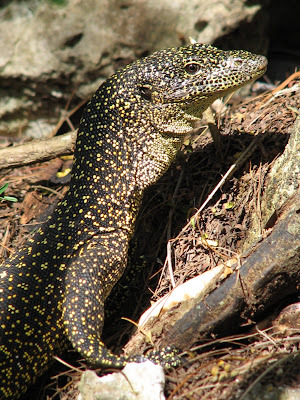 It was the closest I have been to a Mangrove Monitor Lizard on Saipan. Beautify CNMI! is aiming to gather a quarter million volunteer hours from all people in the Commonwealth for this year. Angello Villagomez, an officer of Beautify CNMI!, told Saipan Tribune that their goal for 2007 is to have every single person in the Commonwealth donate four hours to environmental activities. Villagomez said 75,000 people times four hours is a quarter million volunteer hours. “So I am setting that as our goal from January to December. Beautify CNMI! will clock a quarterly million volunteer hours,” he said. Villagomez disclosed their goal as their group conducted Friday their first activity of the year by partnering with the Department of Public Safety and the Kagman Community Center. About 42 members of the Law Enforcement Explorer Program collected trash along the side of the road from Kagman Community Center down to Marine Beach. The Explorers included the cleanup as part of their program in their three-day jamboree at the Kagman Community Center. Villagomez said the Explorers is one of the three programs of the DPS Crime Prevention Unit. “This is just the first one of the New Year. We painted bus stops together (before). We've done beach cleanups together. We're actually been partners with them for quite sometime,” he said. Beautify CNMI! is a coalition of various agencies, private sector, non-profit organizations, private citizens, and visitors. Its mission is to foster community pride through a comprehensive beautification campaign aimed at enhancing the beauty of the island environments and the people's quality life through public education on recycling, restoration, waste management, and enforcement of laws. Sgt. James Deleon Guerrero, the new officer-in-charge of the Kagman Community Oriented Policing Section, said Friday was the third day of the camp and Saturday would be the last day. “The idea is to give the kids something to do to keep away from trouble while they are out of schools,” Deleon Guerrero said. He said a number of police officers came down to conduct presentation on specific DPS programs. Beautify CNMI! is taking on another challenge in its continued pursuit to enhance and beautify the Commonwealth: Responsible ownership of pets. Beautify CNMI! officer Rep. Cinta Kaipat said that solving the stray dog and cat problem on Saipan and promoting responsible pet ownership would be added to the thrust of the environmental campaign. Toward this end, Kaipat said she would be working closely with group officers and essential government agencies to promote responsible pet ownership within the community. In related news, the Saipan Mayor's Office has yet to release a bid bulletin for contractors to renovate and build an animal shelter for stray cats and dogs. According to Tony Benavente, the Saipan Mayor's Office would release the invitation to bid for construction companies within this month. 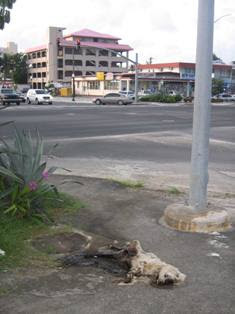 In December 2006, the Department of Finance remitted to the Saipan Mayor’s Office the $75,000 intended to renovate and build an animal shelter for the stray cats and dogs on Saipan. The Mayor's Office is still preparing the release of a bid bulletin that would be published in major newspapers on Saipan. The announcement would run for 15 to 30 days, after which the Mayor’s Office would select the best bidder. The proposed animal shelter will be located in As Perdido. The island of Tinian implemented dog control regulations to curb the rampant stray and feral dog population on the island in November 2006. The new and extensive regulations took effect on Monday, after being published in the Commonwealth register in October 2006 and posting of the required public notices. A colorful tri-fold brochure is available at many island locations describing the basic features of the program. The program will be implemented in stages, according to the Tinian Mayor's Office, with the first stage involving the licensing of privately owned dogs. All residents are being urged to register their dogs and purchase the required license tags at the Tinian Mayor's Office during regular business hours. Donations for Beautify CNMI! can be made to the Mariana Islands Nature Alliance or through my National Fish & Wildlife Fund Coral Reef Outreach Project. Donations made through paypal will support the activities that you read about on this website every weekend. On Friday afternoon 27 Law Enforcement Explorer Program and Junior Police Officer students participated in a cleanup of the roads in Kagman between Tank Beach and Cha Cha Oceanview Junior High School. The event was coordinated by DPS Crime Prevention Unit, Kagman Kummunidat Association, Marianas RC&D, and Rep. Kaipat's Office. 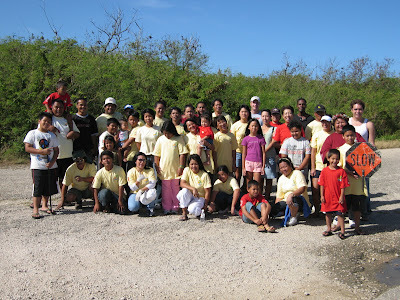 On Saturday morning 69 volunteers from Aquarius Hotel, POWER, Marianas RC&D, DEQ, Rep. Kaipat's Office, Church of Latter-day Saints, New Generation Good, and some of Beautify CNMI's super volunteers cleaned up the beach near Sugar Dock in Chalan Kanoa. 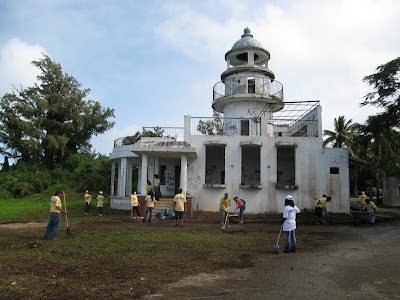 On Sunday morning volunteers from Isa, MOVER, Rep. Waki's office, Kinpachi Restaurant, and Marianas RC&D removed trash and swept out the dust from the old Lighthouse on top of Navy Hill. Our first event! Here's to a busy 2007! Thank you to DPS Crime Prevention Unit, Kagman Komunnidat Association, Law Enforcement Explorer Program, Junior Police Officers, Marianas RC&D, and Rep. Cinta Kaipat's Office for another succesful event! We removed over 100 lbs of litter...and Kyle found a new chair! BEAUTIFY CNMI! has expanded its cleanup efforts to include stray and dead cats ad dogs. This has been a long ignored, but troublesome and problematic issue that can be successfully managed with coordination, consistency and the leadership of ordinary citizens and other community groups.The government, lest we forget, enacted a stray dog control measure almost 12 years ago, but like most CNMI laws, it has yet to be implemented because the same lawmakers who passed the legislation never bothered to appropriate the required funding. I attended the memorial service held for the late President Gerald R Ford yesterday afternoon at American Memorial Park. My good friend Gus Kaipat sang the US National Anthem and the CNMI National Anthem at the beginning of the service. I recorded Gus singing the CNMI Anthem using the video option on my Canon S80. When I got home I downloaded a program that allows you to rip the sound off of video. The sound is pretty clear. It was very windy, but I kept my hand over the microphone to keep it from howling. The thing that sounds like a dog barking is my Canon S2 snapping pictures while I take the video with the S80. If you listen carefully, you can hear birds in the background singing along with Gus. I took Gus' singing and played it over some of the pictures that I have taken (and three that Herb Soll took in Pagan) over the last nine months in Saipan (and Tinian). I tried to incorporate elements of our culture, our natural beauty, and life in the CNMI. This is the first draft. What do you think? Your Person of the Year article forgot to mention that the Saipan Tribune and your parent company, Tan Holdings Corp., are two of the most important partners of Beautify CNMI! Your weekly (and sometimes daily) reports of our various activities and campaigns have been essential in our goal "to enhance the CNMI’s natural beauty and foster community pride in its residents and visitors." You heap too much praise on us without recognizing your own involvement. 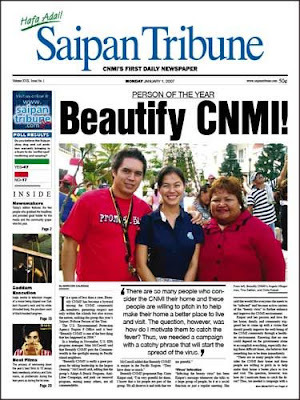 Through your written words and photos, your paper has brought our vision to the people of the CNMI. We couldn’t have been as successful as we have been without your involvement. The honor you bestowed on us is as much yours as it is ours. As for Tan Holdings, your company has been involved in everything we have done. 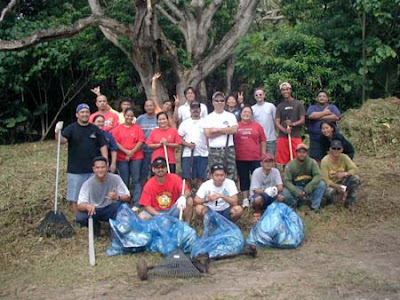 Tan Holdings’ employees, friends, and family members have participated in cleanups, donated supplies, contributed ideas in meetings, and donated cash contributions. Restoration Committee chair, Beautify CNMI! A STENCH said to be coming from the drainage system at the Paseo de Marianas in Garapan is driving tourist away, according to one of the restaurant owners in the area. Kinpachi Restaurant and Paseo De Marianas Promoters general manager Misako Kamata said businesses in the area have been complaining about the foul odor for quite some time now. Although people who work in the area seem to be used to it, the stench still poses serious problems for businesses, especially restaurants and bars, Kamata said. She added that customers may lose their appetite and decide to eat somewhere else when they smell the disturbing odor from the sewer. Kamata said she has already reported the matter to the proper authorities but nothing has been done about it yet. Beautify CNMI!’s junk goods committee also told her that the contractor hired to get rid of the problem will be given a stern warning to keep the site clean, or else the contract will be terminated. Kamata said the Paseo de Marianas Promoters have already done all they can to enhance the area. Now she said, the sewer stench is the only problem left and it’s creating a bad image for the area. “We can clean this place ourselves. In fact we’re doing that already,” Kamata said, adding that they are willing to help whatever government agency will take action on the sewer stench problem. 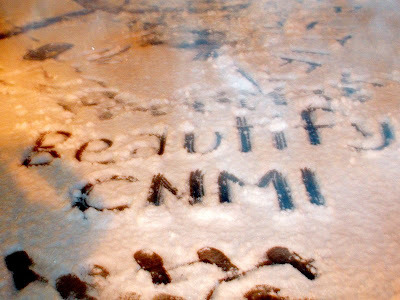 “I hope (Beautify CNMI!) will include a solution to this problem in their program,” she said. MIC is a peer learning network of conservation leaders from government and non-governmental organizations committed to protecting and sustainably managing resources in their islands. 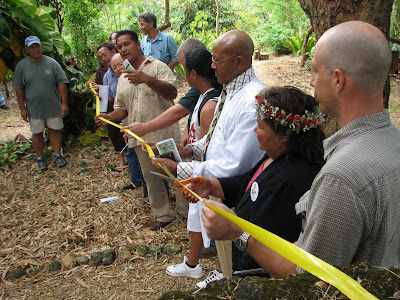 MIC’s approach is to strengthen the collaborative, organizational, technical, and policy skills of leaders and organizations so that, together with communities, they can advance the conservation and management of important natural areas in Micronesia. The Marianas Resource Conservation & Development Council is working to raise public awareness of coral reef issues in Saipan. This is their story. Will tropical coral reefs be the first ecosystem to be eliminated by global warming? 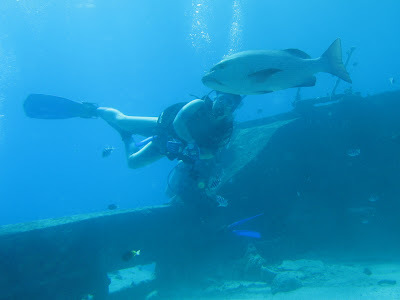 A tropical warm water space for scuba divers and snorkelers interested in coral reef biology and best diving practices. I'm switching this blog over to the new Blogger. Depending on how motivated I am to sit in front of the computer, it will take a day or five to get this blog looking pretty again. The new Blogger is pretty fancy. The new archive system allows you to navigate to any page within the site from any page. Nifty! You can also bounce between the next or the previous post with the click of a button. Awesome! It also allows the webmaster to attach labels to each post. Woot! It is also a lot easier for the webmaster (me) to edit and to play around with the format of the blog. Anything that makes my life easier is good. P.S. Would you like to contribute to this website? I could sure use the help if you would like to be the one to report on our activites, post pictures, or whatever. It is really easy and I can give you a quick tutorial. The possibilities of what we can post here are limitless. Are you a photographer? Do you want to post your pictures of the beautiful places in the CNMI on this website for the world to see? Are you an aspiring journalist? Want a worldwide audience? In a span of less than a year, Beautify CNMI! has become a byword among the CNMI community members, garnering respect not only within the islands but also across the nation, making the group this year's Saipan Tribune Person of the Year. 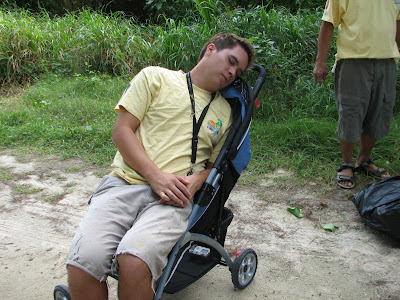 In a briefing in November, U.S. EPA program manager John McCarroll said that Beautify CNMI! puts the Commonwealth in the spotlight among its Pacific island neighbors. “Beautify CNMI! is really a great program for taking leadership in the largest cleanup,” McCarroll said, adding that the group's Adopt-A-Beach Program, Anti-Litter Campaign, and junk car removal program, among many others, are all commendable.